Prof Harekrishna Misra, Chair, Verghese Kurien Centre of Excellence (VKCoE), joined a panel discussion on Collaborating to Impart Managerial Skills to Future Dairy Graduates at the 47th Dairy Industry Conference, Patna, on 8th February, 2019. 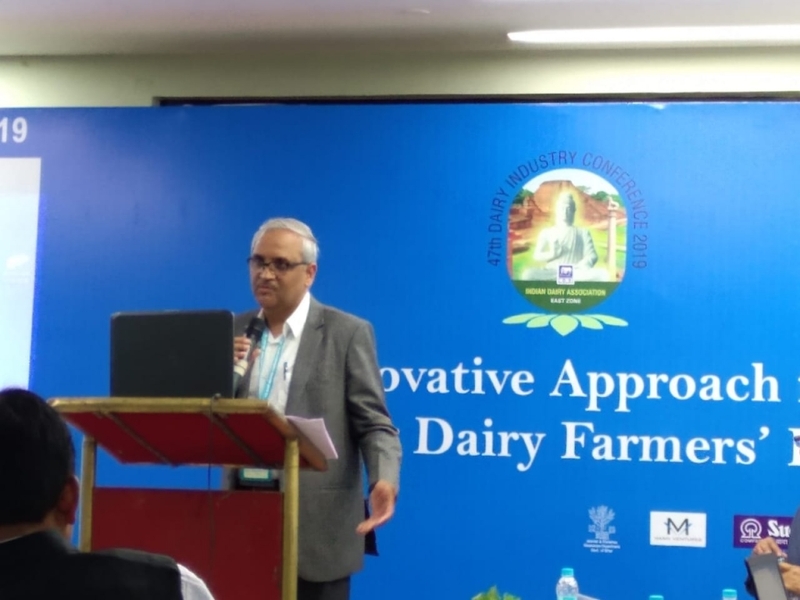 Prof Misra discussed augmenting Human Resource competence in dairy sector. While speaking, he stressed on preparing young and aspiring dairy technologists to remain market-oriented and strive to organize their competence in bringing systemic improvements as per “Industry 4.0” narratives. This is likely to contribute immensely in Doubling Farmers’ Income and providing an ecosystem for sustainable dairying. The Conference was organized by the Bihar State Chapter of the Indian Dairy Association with the theme, “Innovative Approach for Enhancing Dairy Farmers' Income”. The conference provided an excellent platform for interaction and sharing of experiences with eminent professionals, experts, researchers, policy makers and milk producers from different corners of India and abroad on different ways to increase dairy farmers' income.